The Spanish Royal family is in Palma de Mallorca for their annual summer break. During the summer break we usually see royal family out and about enjoying their vacation. Today we have the first sighting. 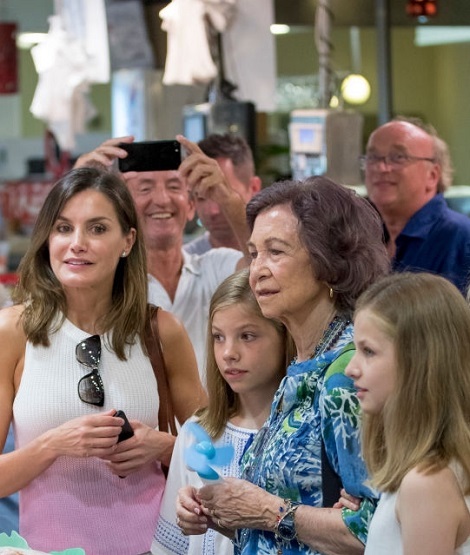 Queen Letizia was seen in the center of the Palma de Mallorca with her daughters Princess Leonor and Infanta Sofia and her Mother-in-Law Queen Sofia. It seems like a ladies day out, where the royal women were seen strolling through the traditional market of the city Olive grove. Dressed casually, the royal women were seen happily looking at the products and listening to the shopkeepers briefing. According to the an onlookers, when the Queens and Princesses arrived suddenly their were chaos and excitement among the shoppers and shopkeepers in the market. For the casual day, Queen Letizia chose pink Mango Ombre top. 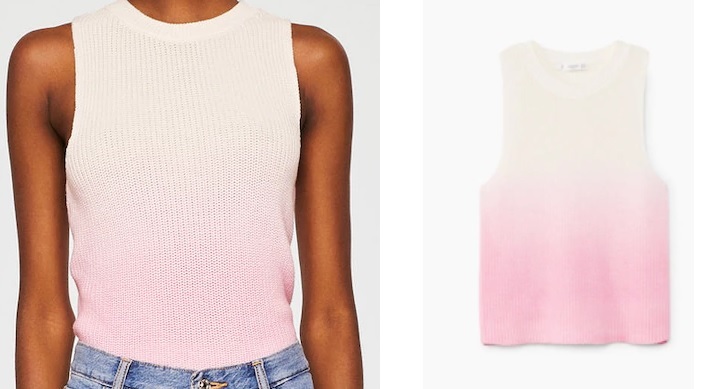 The sleeveless cotton top is available online for $49.99. Letizia paired the top with white shorts. Queen teamed up her outfit with Jute wedges from Spanish firm De Cos. The Aura model of wedges is made of jute and Swarovski crystals and are available for € 111.00. The wedges also comes with an option of having straps different colored stones. 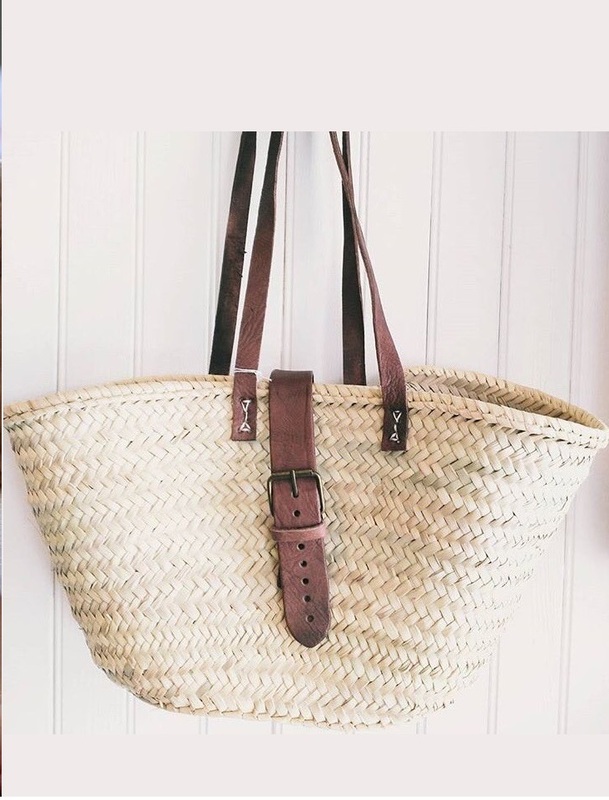 Queen was carrying neutral shade straw Trad palm tote with buckle featuring brown leather shoulder straps from Whittelily that she debuted during museum visit in Mallorca during 2017 summer vacation. 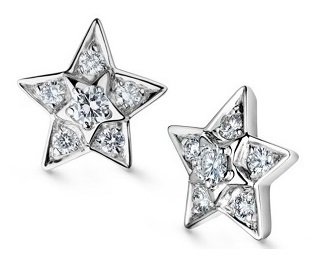 Her Chanel Comete earrings finished the look. 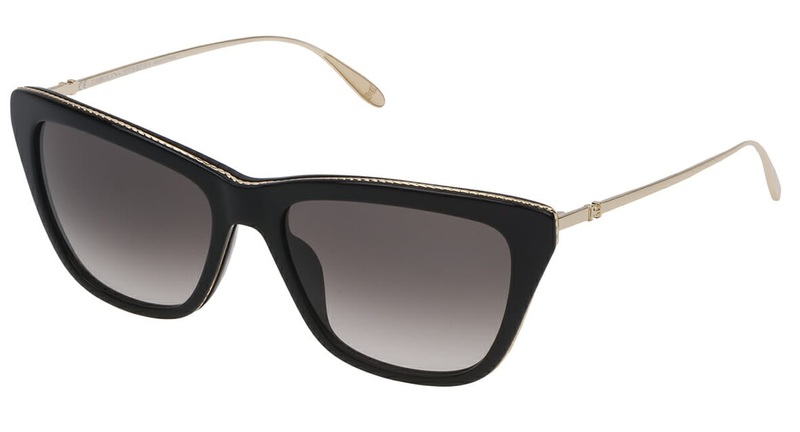 Queen was seen wearing her new Carolina Herrera sunglasses that she debuted this month at the delivery of royal offices. I expect to see the royal family few more times in and around Mallorca in upcoming days. Next we will see Queen on Friday with King Felipe at the official reception offered to the authorities of the Balearic Islands annually. Don’t miss any royal news,Get all the latest posts in your inbox.